We offer six styles of door in three choices or material, as well as composite materials. We install great-looking, secure and well-insulated doors to enhance your home’s look and value and keep you warm and safe. Make an entrance every time you enter your home with one of our stylish front doors. From stable doors to beautiful glazed bespoke creations, we can give you a rear entrance door that is attractive and secure. A classic and elegant style, our French doors will add some sophistication to your home. 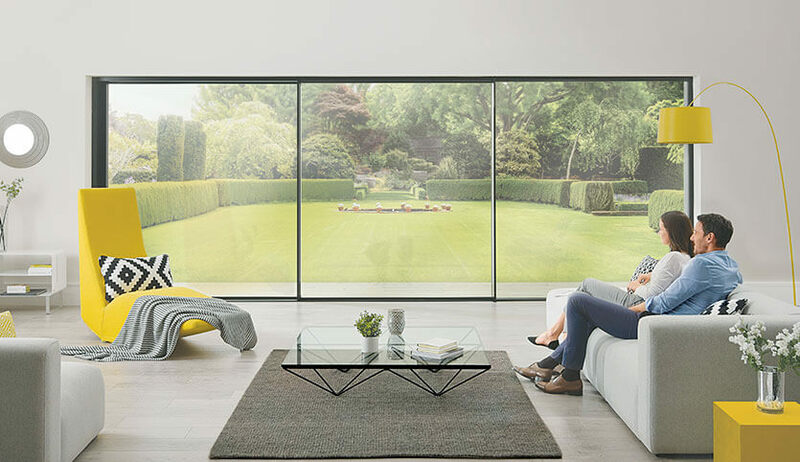 Easy to operate, our patio doors allow you to make the most of your outside space. The most popular material for residential doors; offering high efficiency and low maintenance uPVC offers a wealth of benefits. The ultimate door that ticks all the boxes; aesthetics, security and high performing energy efficiency. 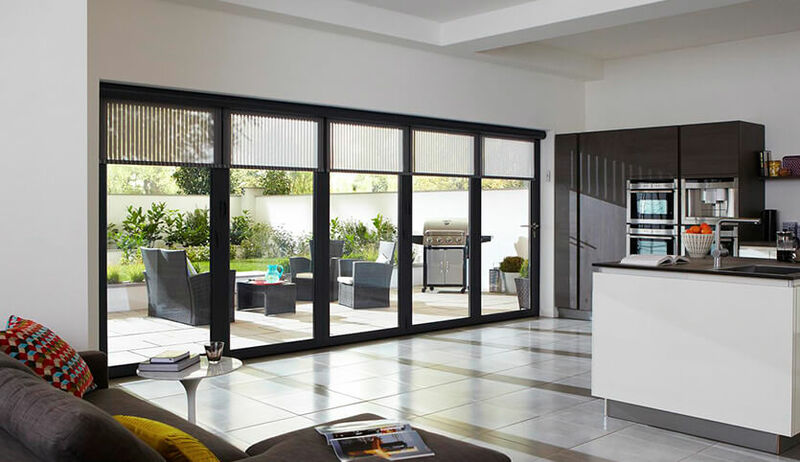 With a sleek appearance, aluminium doors offer unrivalled strength so make them the perfect option for a secure home. An attractive option that will make you proud of your home every time you enter. Any exterior door can be a point through which heat escapes. So, choosing the right fit is an investment in more ways than one. A door’s primary material, the total glazed area, the type and treatment of glazing, and the types of seals used during installation all determine heat retention. At least 15% of heat loss in the home can be attributed to draughty and inefficient doors. So, as a Fensa registered company, making sure our doors are as thermally efficient as our windows is incredibly important to us. Similar to the energy rating system for windows, doors are rated A++ to E via the DSER (Door Set Energy Rating). We've achieved this via a number of top-range technologies and features including A+ rated glass as standard, argon gas cavity infills, edged spacer bars, separate chambered uPVC door profiles combined with airtight and weatherproof designs. 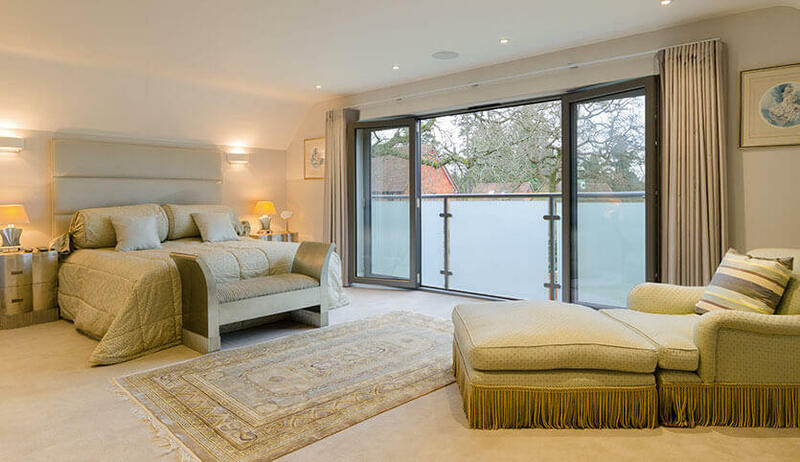 Our aluminium range of doors are fitted with thermal break barriers, which effectively resist thermal energy loss; allowing us to offer some of the most thermally efficient aluminium doorsets around. 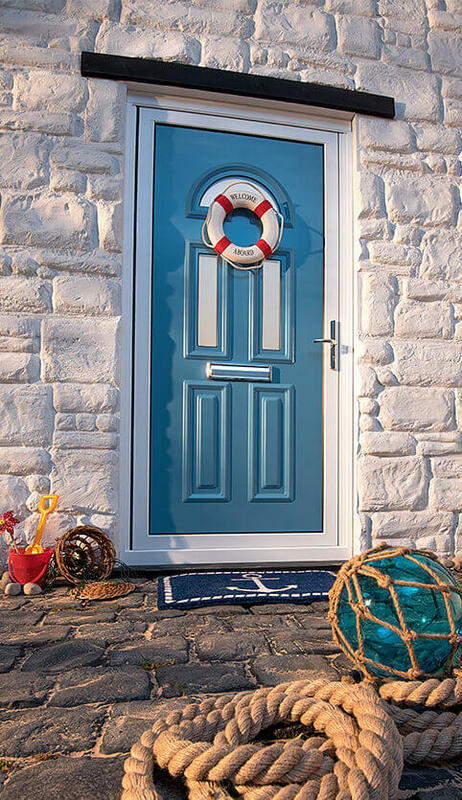 Our range of high-quality composite doors also feature both single and double rebates, for additional heat-retentive qualities. Of course, the level of heat retention you require will be dependant on your own preferences, your home’s location and building characteristics. For more information on heat retention, material choices and glazing, please get in touch with us via a form or simply give us a call. Alternately, keep reading. Once you’ve found a door that looks great at a reasonable price, there’s one thing left to consider. In the unlikely event of break-in, will it hold up? We believe burglar-proof (or as close as can be) should be built as basic. That’s why we take part in the British Police project Secured by Design, building our products to their exacting standards, arrived at through years of study and expertise in crime prevention. Of course, there are always further measures. If you live in an affected area, or simply require greater peace of mind, there are many customisations possible: lock and bolt types, materials and more. To discuss security concerns, you can get in touch via form or emails – or keep reading here. A door is a very important part of a home’s overall look. Choosing the right style and material is the difference between a look which simply clicks and one which doesn’t. Not to mention the effect on house prices. We try to offer the widest range and give sound advice built upon 45 years in the home improvement sector. So, whether it’s a back or a front door, a bifold, French door or a piece to fit a heritage property, we’ll have something for you. You can find great examples of our range on this site. Or you can get in touch via a form or phone call to be taken through every option. From Newbury to Maidenhead and Ascot to Sandhurst, this home county has an incredible blend of urban inner-city character and quaint towns and villages to take advantage of. Our beautifully crafted sustainable timber front doors offer the ultimate wow-factor, allowing Berkshire homeowners to effectively preserve and protect their classically styled homes unique character. 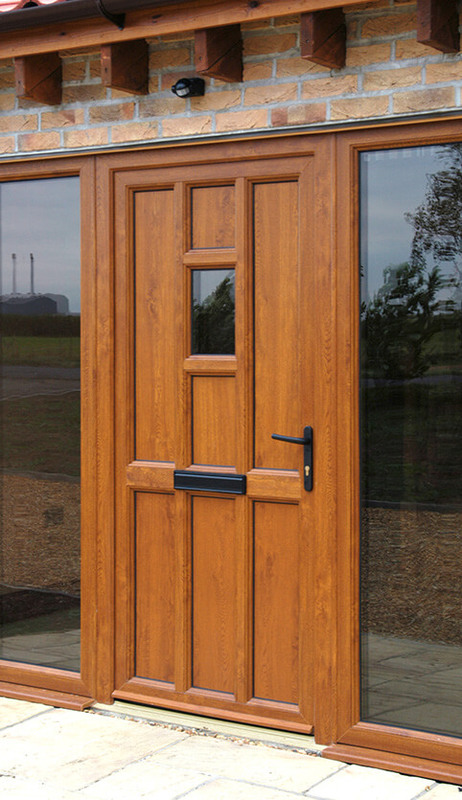 Even our uPVC and composite doors are finished in such a way that they possess all the qualities and warmth of wood, whilst still fitting in with older home aesthetics. From Witney to Chipping Norton and Henley-on-Thames to Didcot, Oxfordshire holds something dear to everyone who works or resides here. Our superior heritage door range honour the long-established charisma of Oxfordshire cottages and townhouses, whilst our striking composite front doors and contemporary aluminium front doors are a popular choice amongst Oxfordshire’s modern homeowners. From Amersham to Beaconsfield and Burnham to Chalfont St. Peter, fanciful cottages across Buckinghamshire welcome the striking aesthetics that our efficient front and external heritage doors provide. Working with two highly respected and established banks, we’re able to offer fantastic finance packages that include entrance doors of all shapes, sizes and materials. Our uPVC entrance doors are also popular in modern family homes across Buckinghamshire - no more boring plastic doors, just strong, quality and reliable entrance doors. From Welwyn Garden City to Cheshunt and Hoddesdon to Bishop’s Stortford, Hertfordshire strikes the perfect balance between legacy village charm and contemporary terraced attraction that residents across the county truly cherish. Heritage Hertfordshire homeowners are making a compelling first impression, thanks to the vast array of heritage inspired front and back doors we provide, ideally united with enhanced efficiency, security and low maintenance features. From Rochford to Harlow and Grays to Brentwood, our far-reaching range of door styles expertly accommodate the eclectic fusion of architectural property eras that grace this diverse south east English county. More homes situated near the Essex coast are taking advantage of the draught and weather resistant qualities that uPVC and aluminium front doors present, including French doors, bi-fold doors and sliding patio doors. The plentiful numbers of listed and heritage infused buildings are inclined to sway towards our extensive range of heritage influenced doors, which wholly capturing the essence of their unique spirit.